Eagle Rock ‘n’ Rollin’ Along! 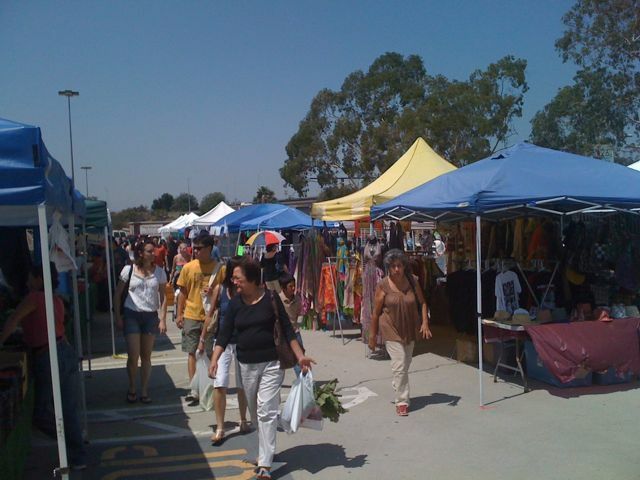 I returned this past Sunday and I found a much more vibrant, busy, eclectic and populated farmers’ market. Well done guys! Their signage has improved and is pointing in the right direction finally. Also, instead of hiding back behind Macy’s they’re now out front, along Colorado, in plain view and easy for newcomers to find! 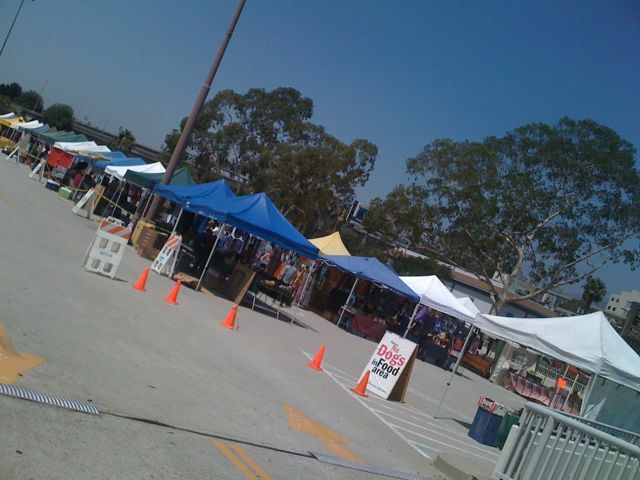 They’ve got about five times as many tents/vendors as before. …and more for the kids to do. 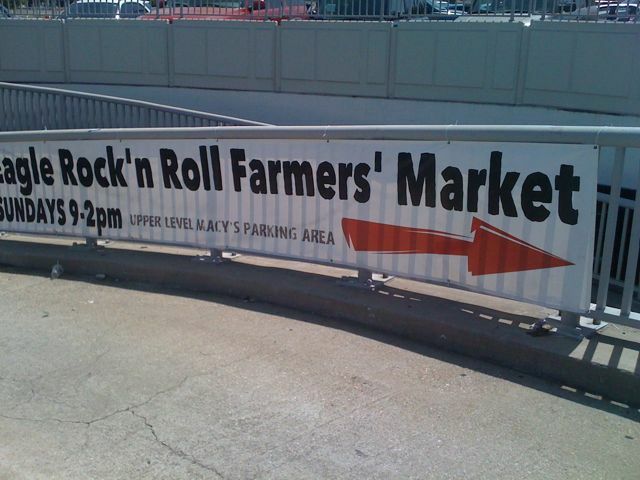 They even have a live rock ‘n’ roll band. I was looking for the cheese guy and couldn’t find him so I stopped by the information booth and no one was there… But then I found the manager looking after someone’s table and he told me that the cheese guy would be back “next week”. Yay! 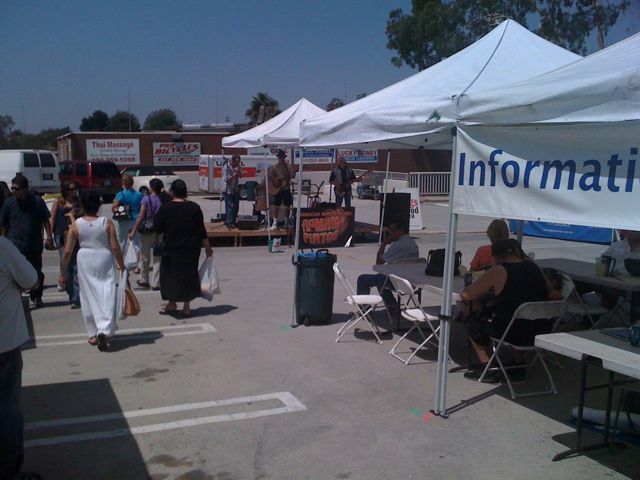 All in all, I think the Eagle Rock ‘n’ Roll Farmers’ Market is doin’ great and here to stay!